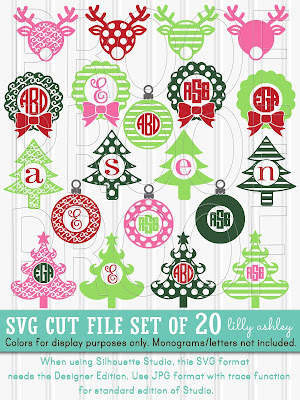 Here's a set of Christmas ornament cut files for ya today! Included are the ornaments with hangers, shown in red and silver (colors are for display purposes). 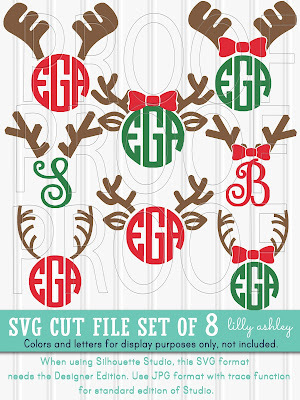 These are great for adding in your own initial, monogram, Christmas word or name! 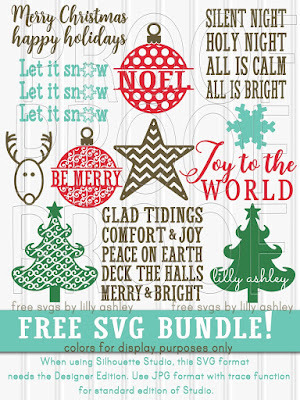 Free for personal or commercial use, the SVG, PNG, and JPG formats are available for this design. We do ask for no selling or re-distributing of these files. Note that the design files come black as templates for cutting onto any color vinyl/paper/etc. From inside the folder, click on one of the zip files (svg, png, jpg) to download it, as the entire folder itself cannot be downloaded. Don't forget to unzip files after download...files that are still zipped will not load. 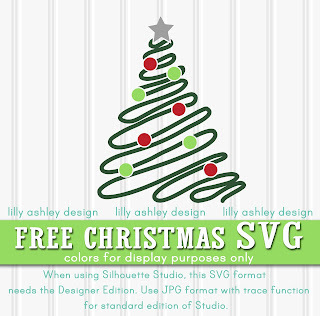 If you don't yet have our FREE CHRISTMAS SVG bundle, click the image below to go grab that! 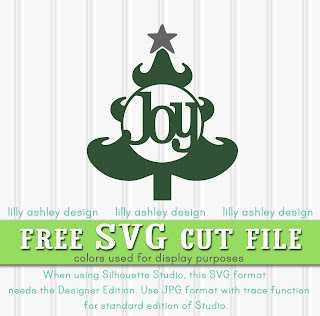 Enjoy today's free svg file! Be sure to check back with us soon, we have more freebies to share! !